Triumph hosted over 2000 people at the Scrambler 1200 launch party. The exclusive event took place at the ExCel London on October 24. 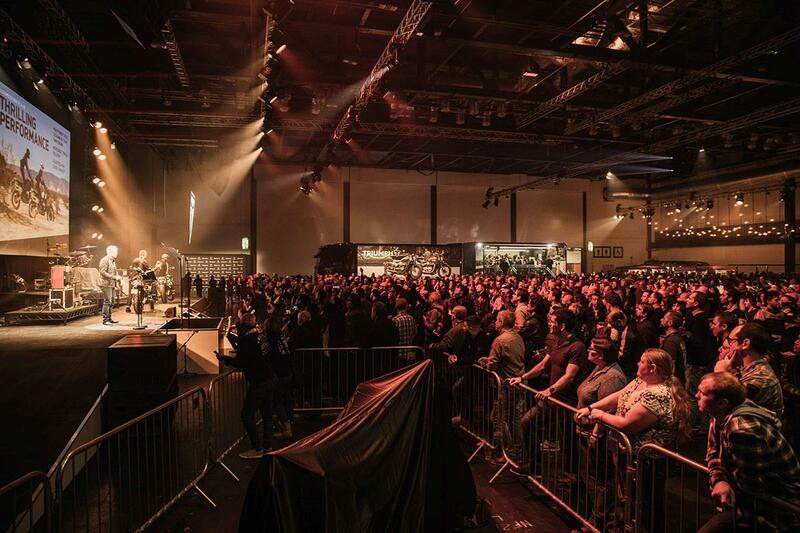 Entertainment for the evening included live music from The Amazons, celebrity attendees including Professor Green and Carl Froch and a knock-out Scrambler racing event taking place on a custom indoor dirt track. MCN's Senior Road Tester, Adam Child made it through to round two of the Scrambler racing before his team were knocked out by the Italians. The racing was eventually won by the Brazilian team who managed to edge out the Italians in a thrilling final. Win tickets to exclusive Triumph launch party!